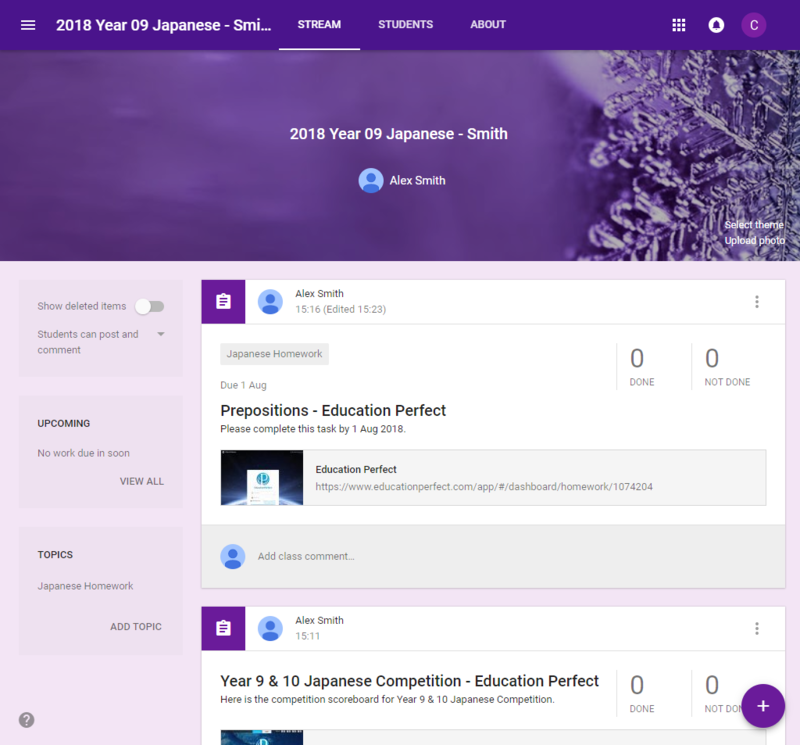 How do I share content, tasks, assessments and competitions to Google Classroom? Content can be embedded in Google Classroom by clicking the Share to Google Classroom button, which you'll find in various places around your Control Panel — or alternatively, by copying a link to a lesson and posting it within Google Classroom itself. What type of activities can I embed? To set up or sign in to Google Classroom, please follow Google's Help Documentation on this topic. Log in to Education Perfect and navigate to the desired content you'd like to share. Click the Share to Google Classroom button (usually located beside the Student Link) and configure as needed. Alternatively, you can retrieve the Student Link for the desired activity and paste it into Google Classroom directly by following the instructions outlined in Google's Help Documentation. For more information about how to get shareable links, please take a look at our guide on linking content. Tasks & Assessments - from the Get Started tab. Competitions - from the Details tab. From the 'More' drop-down menu in Browse mode. Beside the Student Link in the Details tab in Edit mode. Once the desired content has been shared, it will appear from the Stream page in Google Classroom.